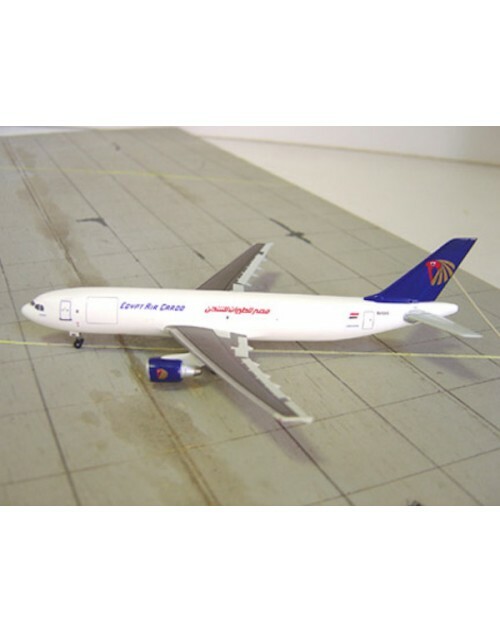 1/400 scale die cast Dragon Wings/Jet-X Egyptair Cargo Airbus Industrie A300-622R (F) with final color scheme. Item # JX062. Registration: SU-GAS "Cheops". 500 units released in February 2007. Comes with a matching stand with "Egypair" logo. Dimensions: Length: 5 1/2 inches (14 cms), wingspan: 4 5/8 inches (11.8 cms).